GoPro will ultimately deliver a completely autonomous drone, requiring absolutely no piloting? Source: Christopher Morris, at ValueWalk. The release of the GoPro Hero 5 will be an extremely important one for the action camera manufacturer, following the desperate slide of its share price. It is essential for the company to impress consumers with this next generation action camera, and it is also widely anticipated that numerous new features will be included. The first thing to note about the GoPro Hero 5 is that it will be significantly smaller and lighter than the previous releases in the series. That have been release delays with this camera thus far, and it is believed that this is related to manufacturing challenges in producing the sleekest and most mobile camera possible. It has also been suggested that GoPro will ensure that drone compatibility is part of the makeup of the GoPro Hero 5, which would fit in with the other plans of the company. GoPro has reportedly been working on autonomous drones over the last few months, with the company wishing to make a serious investment in this potentially vast marketplace. GoPro will ultimately deliver a completely autonomous drone, requiring absolutely no piloting. Rumors have also indicated that the GoPro Hero 5 will feature outstanding underwater shooting capabilities, as the manufacturers look to widen the scope of this action camera. It is believed that the GoPro Hero 5 will deliver underwater shooting at a depth of 60 meters, which would be a 300 percent improvement over the existing GoPro Hero 4. This would hopefully enable the corporation to target divers, and professional and commercial diving companies may also become interested in the hardware. One of the most incredible specifications linked with the GoPro Hero 5 is the ability of the action camera to shoot in 8K video format. This will be pretty staggering to the average person, As the 4K resolution format has yet to really become part of the mainstream. But 8K shooting is already available, and it is expected that eventually 4K will become the mainstream television and display format, akin to HD today, while 8K will be the souped-up variant that indeed HD was when SD was common. There has been so much talk of dual-lens technology in the smartphone marketplace recently, it cannot come as a huge surprise that GoPro is already intending to include something similar in the GoPro Hero 5. This two-lens system will reportedly enable the action camera to capture both 3D images and video, ensuring that GoPro consumers can film their own 3D productions. The GoPro Hero 5 will also deliver significantly improved battery life over the existing unit, with reports suggesting that the action camera will be capable of 24 hours of operation on a single charge. GoPro will improve the Bluetooth functionality in the GoPro Hero 5 over the previous iteration in the series, while the A10 chip included in the unit will ensure that the action camera functions seamlessly in poor shooting conditions. 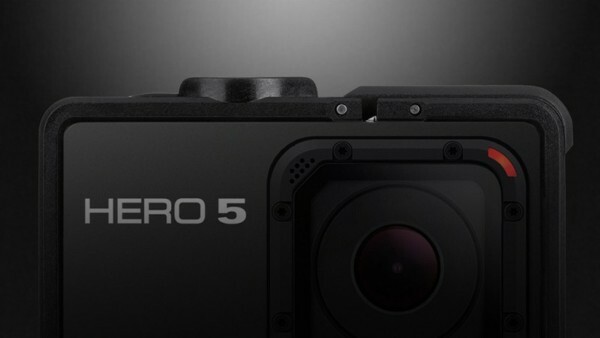 There will also be a significant emphasis on ensuring that the GoPro Hero 5 is a particularly connectible device, with the hierarchy of the corporation already stating that the cloud-based nature of the action camera would be an important aspect of its portfolio of features. The founder and CEO of GoPro, Nick Woodman, has already elaborated on his vision for the GoPro Hero 5. Reports suggest that the GoPro Hero 5 will have the capability of shooting videos at 60 frames per second across numerous resolutions. 60 frames per second is becoming a standard across various forms of media, and it will be excellent news for action camera fans that this is being made a central aspect of the GoPro Hero 5. GoPro has slashed the price of some of its product range recently, and is also looking to simplify its overall palette of products. This is due to the competitive marketplace that GoPro finds itself in, coupled with the challenge that its share price has encountered. There is little indication regarding exactly what price point the GoPro Hero 5 will launch at, but one should expect it to be extremely competitive.